While college graduation parties aren’t typically quite as lavish and overwhelming as high school graduation parties as far as gifts are concerned, Honda Financial Services is interested in giving recent college grads a big, fat $500 gift. Really, it’s more of a congrats-on-graduating-and-getting-your-first-job gift, but a gift all the same. A huge, new movement in live music has begun. Honda Stage is a performance series with the biggest names and brightest stars in music, featuring live shows, exclusive videos, artist interviews, ticket sweepstakes, the Honda Civic Tour and more. Honda Stage has partnered with Live Nation, Clear Channel (iHeart Radio), REVOLT, YouTube and Vevo to create an awesome new platform to discover, share and enjoy music. Honda Speed Patrol: Enter for your chance to win!! Few things are scarier for parents than having their kids get behind the wheel of a car, but the good news is that according to the Insurance Institute for Highway Safety, there are some vehicles that are much safer for those teens to drive than others. We here at Pacific Honda were very pleased to see that some of the best of them were Honda vehicles. Several model years of Honda pre-owned vehicles have been recognized by the Insurance Institute for Highway Safety (IIHS) as part of its first-ever list of safer used vehicles for teen drivers. Research conducted by IIHS found that motor vehicle crashes are the leading cause of death among teenagers, and suggests that the type of vehicle driven has a big effect on the degree of risk. Further IIHS research showed many teens drive used vehicles lacking important safety technology, and, as a result, a list was compiled to help guide parents in making safer choices. 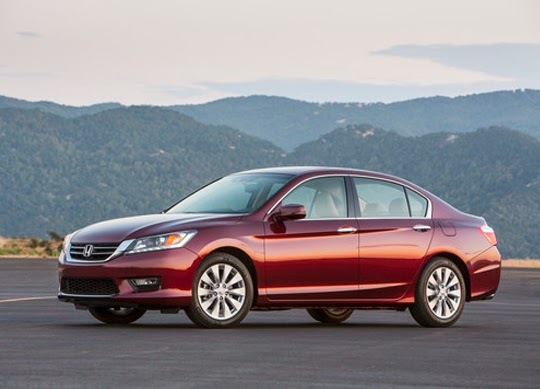 Honda pre-owned vehicles earning this first recognition from IIHS as among the best, safer choices for teen drivers under $20,0002 include the Honda Accord Sedan (2012 and later), Accord Coupe (2013-14), CR-V (2012 and later), Element (2007 and later) and Honda Odyssey (2011 and later). Additionally, the Honda Pilot (2006 and later) and the Honda Odyssey (2005-10) were included on the list of good choices for teen drivers under $10,0002. "Enhancing the safety of our customers and the quality of our products is a top priority for Honda," said Art St. Cyr, vice president of product planning and logistics at American Honda. "Our long-term commitment to enhancing safety and durability makes Honda an ideal choice when shopping for safe, reliable transportation, new or pre-owned, for all drivers including teens." For added piece of mind, customers choosing a Certified Pre-Owned Honda (http://www.certified.honda.com) vehicle on this list from one of our authorized Honda dealerships, an extensive limited warranty is included. According to IHS Automotive vehicle registration statistics, Honda is the most durable, longest lasting brand in its class1. Vehicles considered "best choices" for under $20,0002 have good ratings for side crash protection, good head restraints and seats for rear crash protection, and good roof strength to protect occupants in rollover crashes. Vehicles considered "good choices" for under $10,0002 have good or acceptable side crash protection and head restraints rated better than poor. If rated by the National Highway Traffic Safety Administration (NHTSA), the vehicles earn a 4 or 5 Star Overall Vehicle Score, for model years 2011 and later, or 4 or 5 Stars in the front and side crash safety tests for earlier models tested under NHTSA's old rating system. 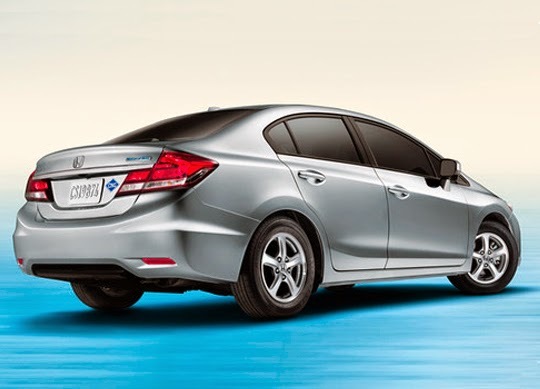 All Honda vehicles on the list come equipped with standard Vehicle Stability Assist™ (VSA®) with traction control (what IIHS calls Electronic Stability Control or ESC) and provide good protection in moderate overlap front crash tests. According to IIHS, systems like Honda's VSA® reduce fatal single-vehicle crash risk by about half and fatal multiple-vehicle crash risk by one-fifth (see Status Report, June 19, 2010, at iihs.org). Honda has a long history of leadership in the development and application of advanced technologies and designs meant to enhance the safety of all road users, including automobile occupants, motorcycle riders, and pedestrians. The company operates two of the world's most sophisticated crash test facilities in the U.S. and Japan, and is responsible for numerous pioneering efforts in the areas of crashworthiness, airbag technology, collision compatibility and pedestrian safety. American Honda leads the industry for 2014 in third party crash test ratings with more models rated TOP SAFETY PICK and TOP SAFETY PICK+ by the Insurance Institute for Highway Safety (IIHS) than any other manufacturer. Honda is teaming up with your favorite music artists this summer to put on the best shows and give you a chance to win the all new Honda Fit, along with VIP tickets to this summer's music festivals. Check out the link below to enter for your chance to win. You could be the lucky fan the travel and see bands like: Jack White, John Mayer, Zac Brown, Iggy Azalea, Fitz and the Tantrums, Lana Del Ray, Skrillex, Beck, Calvin Harris, Foster the People, Spoon and more! Visit the Austin City Limits page: http://www.aclfestival.com/ and the Music Midtown page: http://www.musicmidtown.com/ to see who else will be performing for this summer's concert series. You can also click here:http://automobiles.honda.com/music/ to see who is on the Honda stage. Don't forget to enter for your chance for the most epic music summer!! These days, nearly everybody has access to a smart device, whether it be an Apple iPhone or one of several different Android devices, which run an operating system developed by Google. Debating which of the two is better is a long-standing debate that has no easy answer, and now it appears as though the conversation will spill into the auto world, as both Apple and Google are developing versions of their mobile operating systems for cars’ infotainment systems. Society of Automotive Engineers (SAE) collegiate-level programs will now be able to join the Honda Racing Line, giving them access to products and services offered by Honda Performance Development. Universities operating SAE-affiliated programs, such as Formula SAE and Baja SAE can now apply for membership in the Honda Racing Line, gaining direct access to HPD-developed racing products, original equipment replacement parts and support specifically tailored to the motorsports competitor. "We are delighted to be offering memberships in the Honda Racing Line to universities involved with collegiate-level SAE programs," said Jeff Barrow, HPD Manager of Commercial Motorsports. "Both HPD and our parent company, American Honda, have long been associated with the SAE and the organization's student competitions. 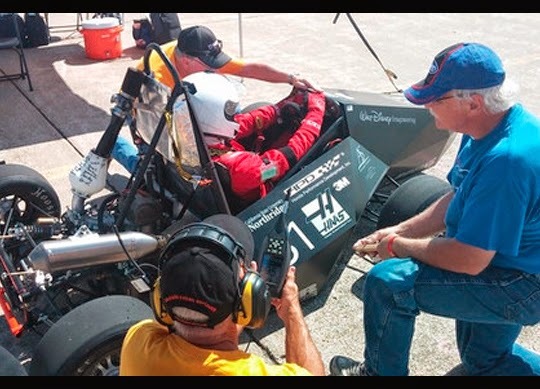 Many current HPD associates participated in Formula SAE and similar programs during their university years," Barrow added. "Now these programs will have access to our performance product lines as well as our talented technical support." To join the Honda Racing Line, a university SAE program administrator can contact HPD to obtain an HPD Collegiate SAE Program Racing Product Purchase Agreement. Once completed and returned to HPD, the university program will be assigned a membership number providing access to HPD products and services. For more information on the HPD Collegiate SAE program, contact Jeff Barrow, Manager, Commercial Motorsports, Honda Performance Development, Tel. 661-702-7845 or e-mail jbarrow@hra.com. HPD was founded in 1993 as the performance arm of American Honda Motor Company. Today, HPD offers a line of race engines and other motorsports products for track applications from karting and Quarter Midgets to Indy cars and prototype sports cars, showcasing "fun to drive" products for professional, amateur and entry-level efforts. No other manufacturer has matched Honda's success in IndyCar open-wheel racing, which includes 210 race victories, 15 drivers' championships, six manufacturers' championships and 10 Indianapolis 500 victories from 2004-2014. HPD's Le Mans prototype sports car racing efforts have resulted in more than 70 victories and multiple American Le Mans Series engine, chassis, team, and drivers' championships. HPD won the LMP2 title in the inaugural 2012 World Endurance Championship, and has twice won the LMP2 category at the 24 Hours of Le Mans. For more information about HPD and the company's racing and street performance product lines, please visit http://hpd.honda.com. There are sort of two philosophies that parents have when deciding on what car to buy for their teenage children. One school of thought is that it’s best to buy them something really cheap since they’ll either wreck it or fail to take care of it properly anyway, but we here at Pacific Honda think that sells these kids short. For that reason, we prefer the other school of thought, which believes a high-quality car is one worth taking care of, and with newer safety features they’ll be better protected if they do, heaven forbid, ever crash the thing. Building on a series of advancements aimed at improving the in-car technology experience for consumers, Honda will introduce select vehicles compatible with Android Auto™ in 2015. Honda is displaying a functional prototype at Google I/O 2014, the annual developer conference hosted by Google in San Francisco, CA. Honda and Acura models and trims compatible with Android Auto will be announced in the future. To initiate Android Auto, Honda drivers will simply connect their compatible Android smartphone to the vehicle's USB port using the cable that came with their phone, allowing them to intuitively access supported apps and features using the car's in-dash display and voice controls. 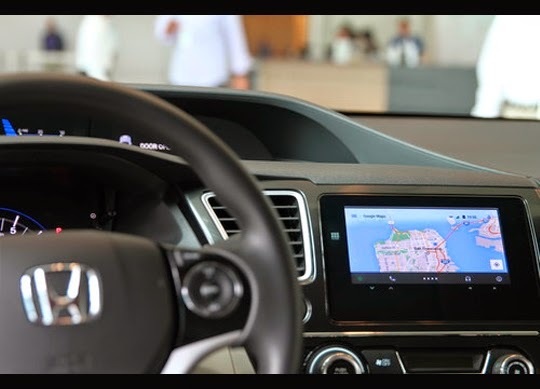 After connecting the compatible Android phone to their Honda vehicle, drivers will be able to "project" their smartphone experience onto the car's in-dash display, giving them access to apps and services that have been optimized for the vehicle environment. 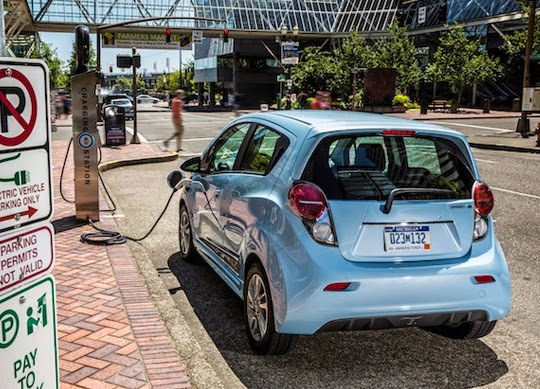 "Honda's goal is to integrate the power and functionality of today's smartphones directly into our vehicles in a way that is seamless and intuitive for our customers," said Nick Sugimoto, senior program director for Honda Silicon Valley Lab. "By working collaboratively with Google and other technology companies, Honda will help millions of consumers around the world more easily and conveniently access their smartphones' content, data and features." Honda is a founding member of the Open Automotive Alliance (OAA), a group of automakers and technology companies committed to bringing the Android platform to cars. The company's open innovation lab, Honda Silicon Valley Lab, spearheads Honda's global interactions with technology companies like Google, as well as developers, to create cutting-edge products and customer experiences. Honda has been an industry leader in equipping its vehicles with technologies that support customers' efforts to be more alert drivers, including the early introduction of hands-free telephone functionality, wide application of back-up cameras to 100 percent of automobiles by model year 2015, as well as other features. Further, Honda is raising awareness of the dangers of distracted driving through initiatives like the Honda "#ThumbsUp" campaign, which launched in April 2014. Honda established operations in America in 1959, and now employs more than 39,000 associates in its North American sales, R&D and manufacturing operations with a capital investment of more than $16.3 billion. Based on its longstanding commitment to "build products close to the customer" Honda operates 16 major manufacturing facilities in North America, producing a wide range of Honda and Acura automobiles, automobile engines and transmissions, Honda all-terrain vehicles, power equipment products such as lawn mowers, mini-tillers and general purpose engines, and the HondaJet light jet, using domestic and globally sourced parts. Eight Honda auto plants in the region, including four in the U.S., have the capacity to produce 1.92 million automobiles each year. In 2013, 94 percent of the Honda and Acura automobiles sold in the U.S. were produced in North America. Those plants today manufacture 11 different models, including four passenger cars and seven light trucks. A fifth U.S. auto plant, the Performance Manufacturing Center, is under construction in Marysville, Ohio, and next year will become the exclusive global production location for the next generation Acura NSX. Honda operates major research and development centers in the U.S. that fully design, develop and engineer many of the products Honda produces in North America. For the third time in four years, the Honda brand leads all non-luxury automotive brands in the Edmunds.com Best Retained Value® Brand Awards, with the highest projected residual value after five years, expressed as a percentage of "cash" True Market Value® (i.e., True Market Value less applicable generally available customer cash incentives). 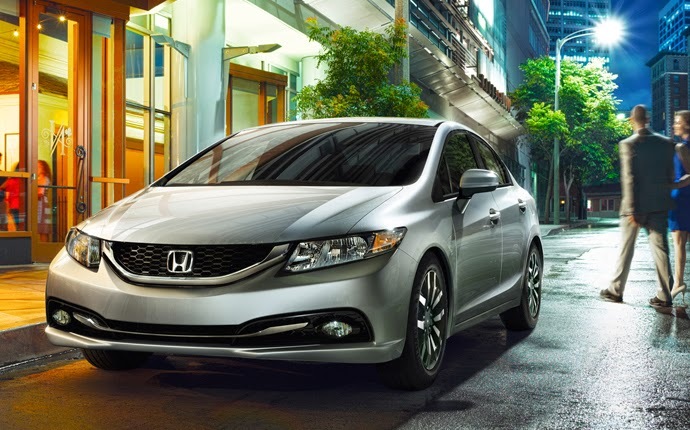 The Honda brand won the 2014 award with a projected residual value of 50.1% as the highest ranked non-luxury brand, while the 2014 Honda Civic and Odyssey earned 2014 Best Retained Value® vehicle award in the Compact Sedan and Minivan segments, respectively. "Honda's industry leading quality, reliability and durability along with our focus on individual customers as opposed to fleet business, has again put Honda in the lead with respect to long-term value," said Jeff Conrad, senior vice president and general manager of the Honda Division. "This is indicative of our commitment to protect our customers investments and another reason why buying a Honda is always a smart choice." 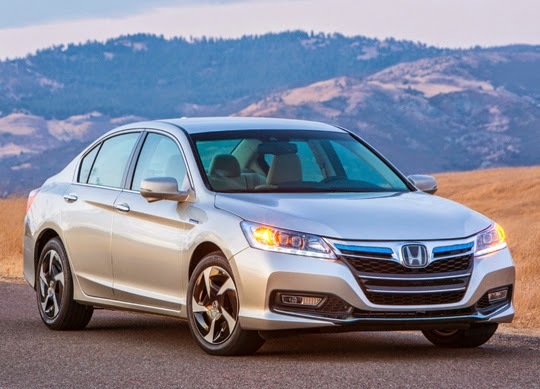 Honda maintains the highest percentage of sales to individual customers among all non-luxury brands, eschewing bulk sales to government and corporate fleets. For the first quarter of 2014, four Honda models – the Accord, Civic, CR-V and Odyssey – led their respective segments in retail registrations, according to the latest available new-vehicle registration data from IHS Automotive. Honda offers a full line of reliable, fuel-efficient and fun-to-drive automobiles for American car buyers through approximately 1,000 independent U.S. Honda dealers. 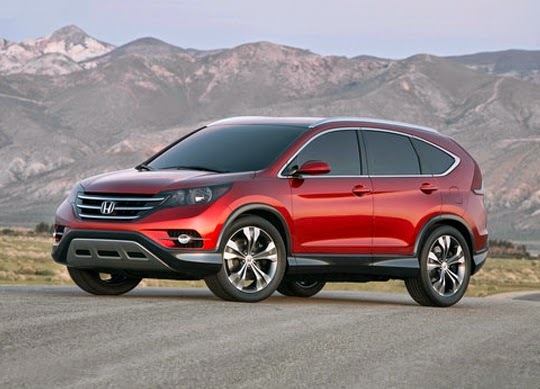 The Honda lineup includes the Accord, Crosstour, Civic, Fit, CR-Z, Insight and FCX Clarity passenger cars along with the Pilot, Odyssey and CR-V sport-utility vehicles, the Ridgeline pickup and the Odyssey minivan. Honda has the highest brand fuel economy1 and the longest-lasting cars2 of any mainstream automotive brand in America. Honda has been producing automobiles in America for more than 30 years and currently operates 15 major manufacturing facilities in North America. In 2013, more than 94 percent of all Honda and Acura vehicles sold in U.S. were made in North America, using domestic and globally sourced parts.